Adhithya Varma is an upcoming film that is the Tamil remake of cult Telugu film, Arjun Reddy. It has Dhruv Vikram and Banita Sandhu in the lead roles, while Priya Anand appears in a crucial supporting role. The film was first helmed by Bala, but due to creative differences, the producers opted to reshoot the entire film with debutant Gireesaaya. This project is bankrolled by Mukesh Mehta under the banner E4 entertainment. The film went on floors in March and will be releasing this June. Now, cinematographer Ravi K Chandran has posted an update about this film. 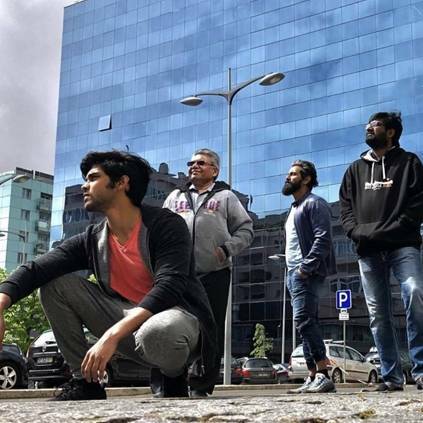 He took to Twitter to state that: "#AdithyaVarma #ChiyaanVikram #DhruvVikram @e4echennai #Portugal #songshoot 65% of the film is over in record time .. thanks to the director cast & crew and our incredible producer Mukesh Mehta"
He has revealed that 65% of the film's shoot has been completed, and the team is currently shooting a song sequence in Portugal. Adhithya Varma has music by Radhan and cinematography by Ravi K Chandran. The director Gireesaaya is an assistant to Sandeep Vanga, who directed Arjun Reddy with Vijay Deverakonda in the lead. People looking for online information on Adhithya Varma, Arjun Reddy, Dhruv Vikram, Gireesaaya, Ravi K Chandran will find this news story useful.